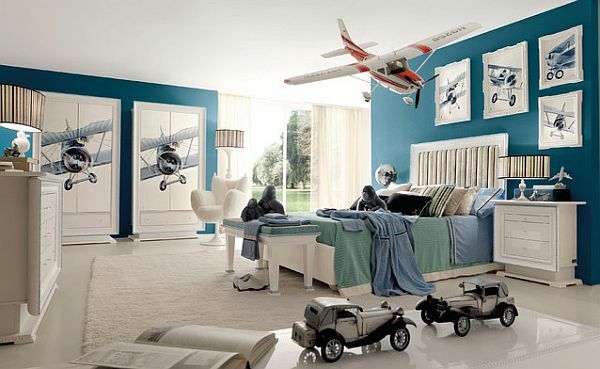 Bring the magic and wonder to a child’s bedroom near you with some fairy dust otherwise known as sweat, a tool belt and imagination and give your kids a place where dreams can come true. It’s bedtime and as happens in any household where your children have a strictly adhered to bedtime, there ensues many antics in the pursuit of settling a young, healthy energetic child. To convince them that sleep is essential to their wellbeing and by the time they reach your age they will crave the inhibitions worry free sleep will bring, well that’s a tough conversation that occurs every night. But giving them a room that inspires for the great things that are yet to come will make sleepy time a bit more appealing. Who says kids aren’t safe around white? Black and white tiled flooring and seating arrangements to match will turn your kids playroom and bedroom into a calming and mentally stimulating place the entire family can enjoy. Make this magic happen in your room by choosing a monochromatic color scheme. Add a few classy pops of color and let the imagination do the rest! Like a shoe that is designed just for your foot and can enable weight loss, muscle toning, endurance and improved running, this child’s bedroom is structurally adept at tuning your children towards the necessities of life. 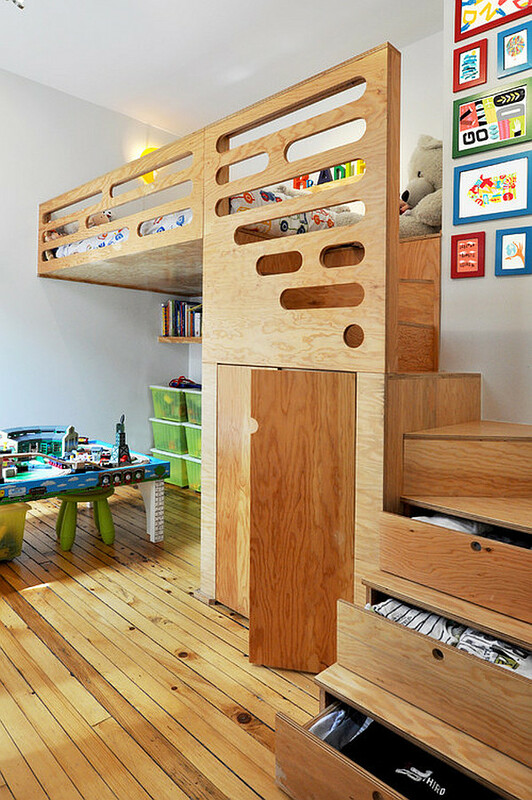 It’s a one size fits all furniture and architecture approach that gives your child a place to rest, play and study. Things we, as guardians and parents, will agree to being the three corners to a successful triangle of childhood. And cheers to mom with superior shelving! Thanks to the big screen the Hundred Acre Woods, Narnia, Neverland even Hogwarts has come to life for us. But locked inside your precious child’s mind is perhaps the next great dozen dimensions and worlds. This cube shaped room will offer an outlet for your child’s creativity in chalkboard sketches, one man plays, the opportunities are endless with the cutout shapes, Lego tables, and grand stadium quality. Give them blankets, pillows, some stuffed animals and be amazed at the empire they will build out of this simple but profound option. 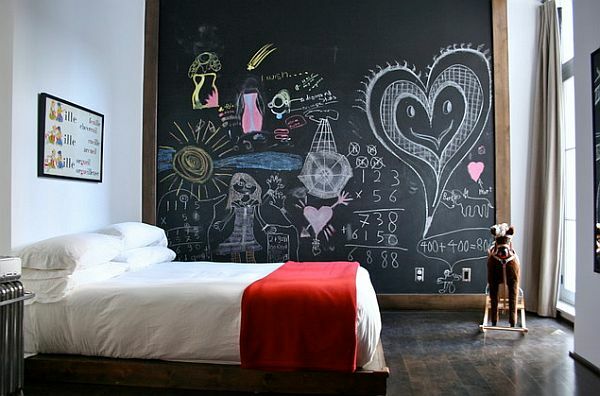 And if that doesn’t work, how about a huge chalkboard that will keep paint away from your walls. 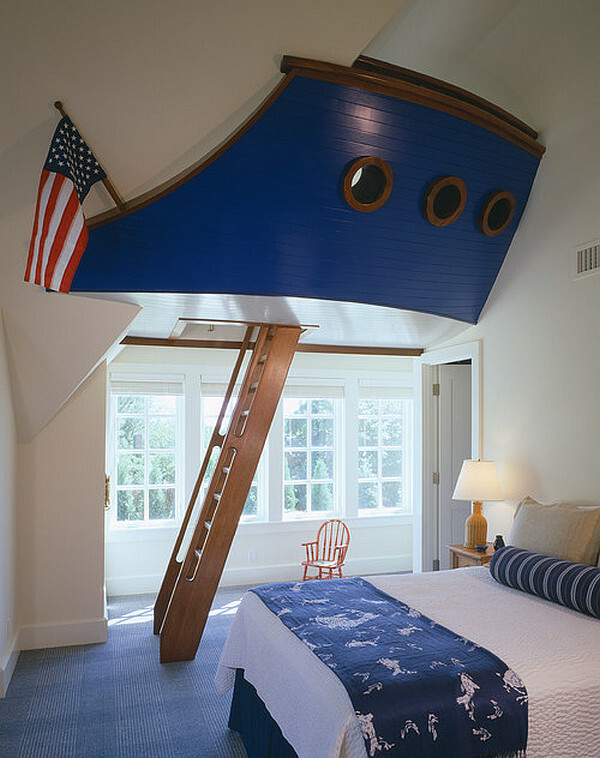 Bring the wonders of carnivals, fairgrounds, interactive museums and the high seas home to your child with this pirate infested room. 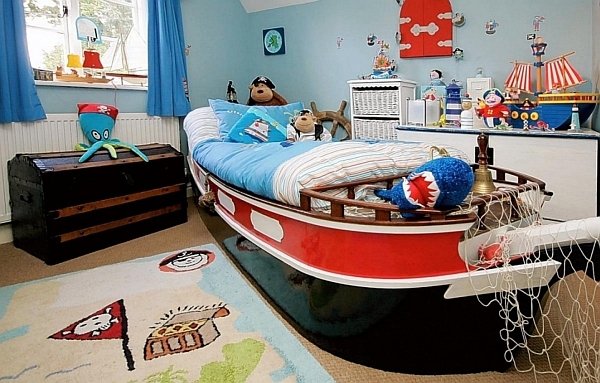 The deep blue sea is commandeered into a raging success when the furniture is above ground. From the blue walls and ceilings, the rope bridge to the pivotal vessel and jumping fish décor there is no limit to the treasures that your child can find during play or nap time. Add to this a simulated lighthouse light fixture and you are ready to set sail! It’s a submarine! No, it’s an airplane! 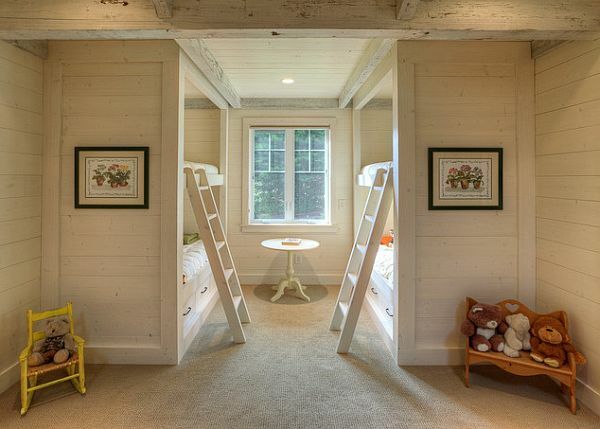 No, it’s…bunk beds? 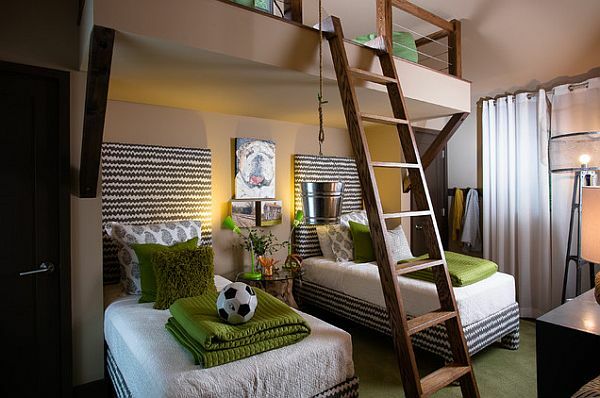 Painted in the fun, bright and festive colors of yellow and blue these double-sided bunk beds are by night the berths of your children and their cousins and by day are seating arrangements, imaginary trees and so much more. From the funky polka dot rugs in racecar red, to an educational world map and cheery window seat tossed with a side of pillows this space encourages early development in learning and play. 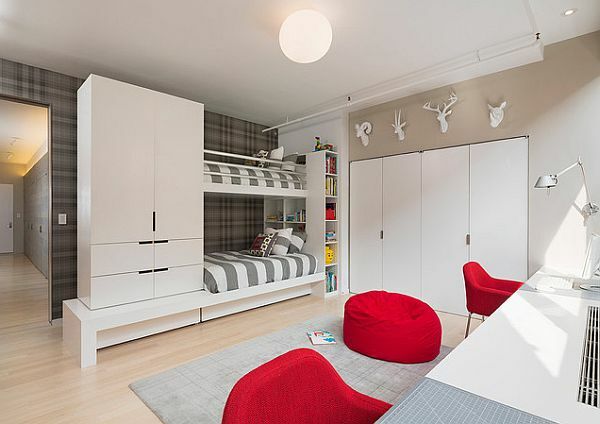 I like to imagine this would have been Ronald McDonald’s room growing up, and if you’d search hard enough you’ll find a missing apple slice from a Happy Meal. We see green initiatives hit the news regularly that claim it’s never been easier to be green. We’re here to prove how fun green can be. 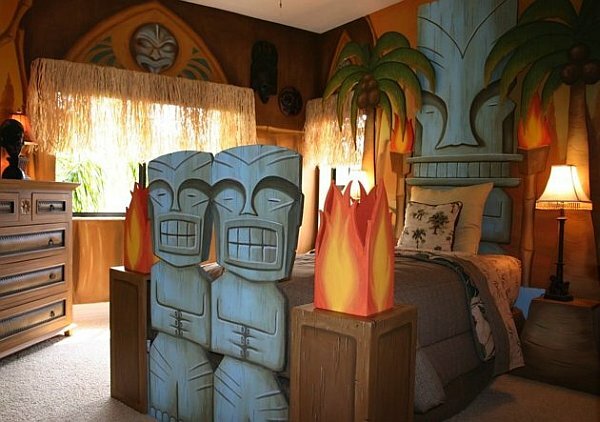 These bedroom will entertain your child for many years, even into the passionate, angry, misunderstood teen years. A stylish and modern interpretation of the writing desk, a corner nook would be perfect here. 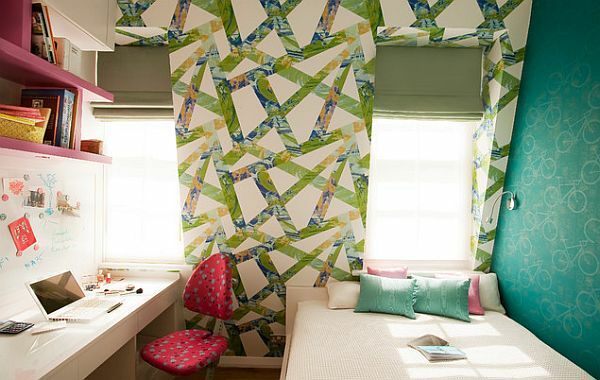 It’s a creative place to study amidst the calming, symmetrical green décor of portraits and a solid bold stripe. A multipurpose table that is in front and center could be adorned with surrounding low chairs. And for the paint to be complete, how about a futon-resembling bench in creams and green as the perfect backdrop to completing this timeless room? Hopefully browsing these bedrooms from around the world will not only give you and your children some bonding time but will propose some hand on projects your whole family can participate in as you recreate the space that speaks to all of you most!